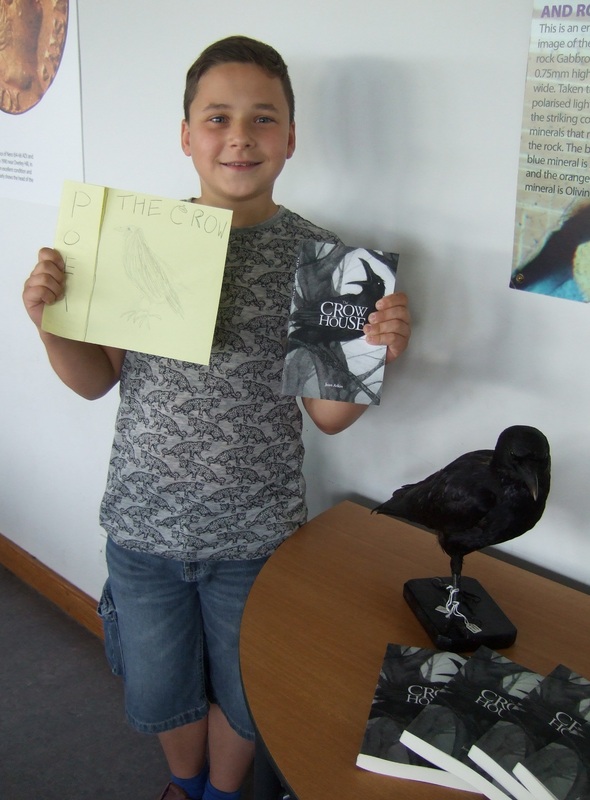 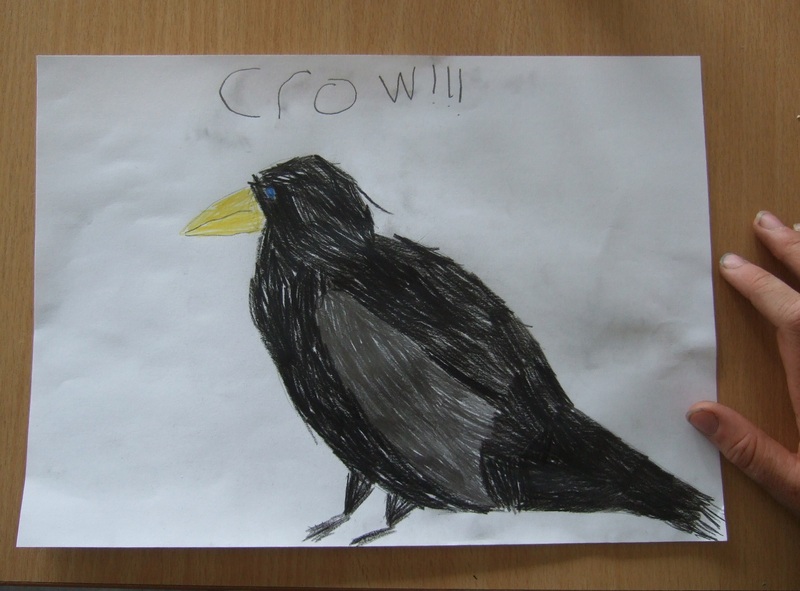 I just spent a wonderful morning with ten creative kids and two taxidermied crows. 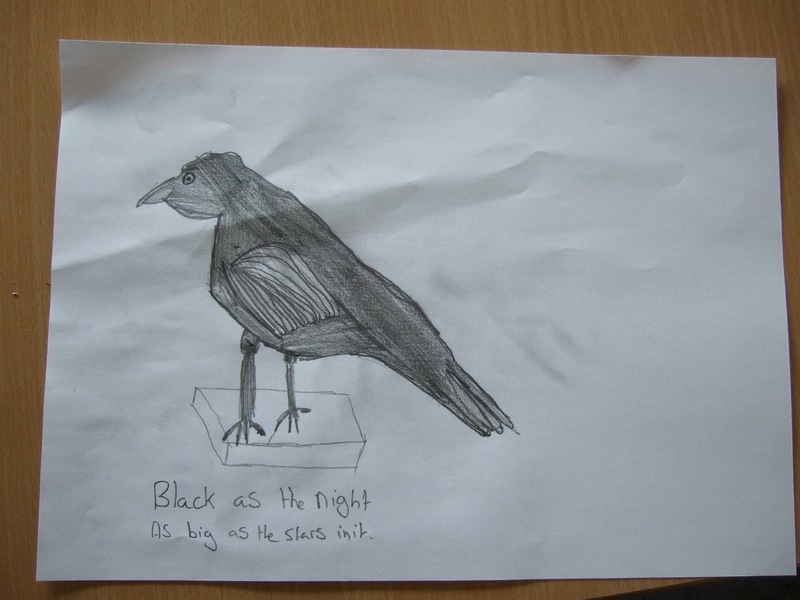 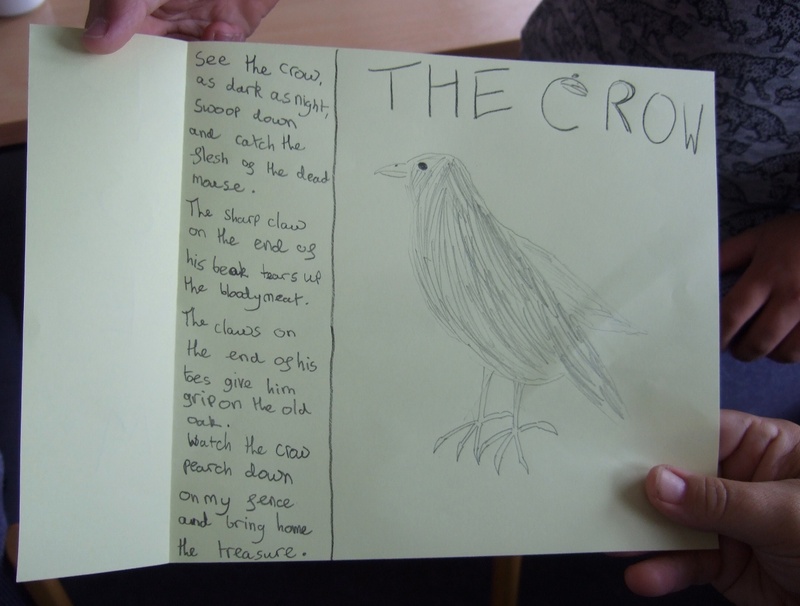 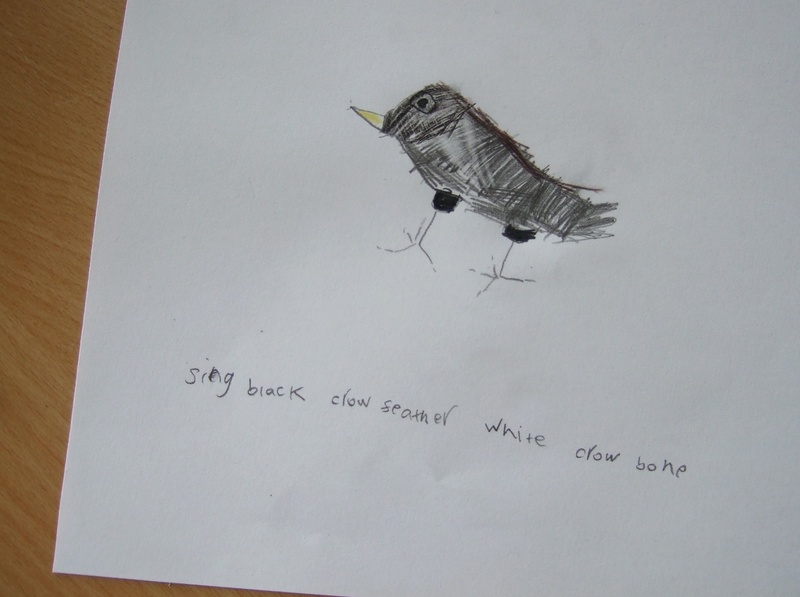 We read extracts from ‘The Crow House’, invented ways for household objects to transport innocents to other times and places, told stories, inspected the lovely dangerous crows, drew them and wrote about them. 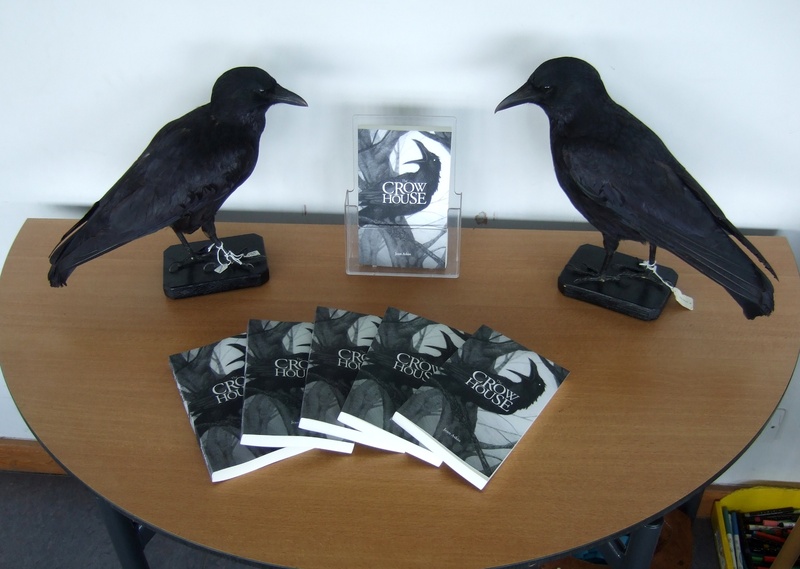 Thank you Iran Morris and Ludlow Library!